Rick has over twenty-five years experience in the analysis, design, inspection and project management of a wide array of structures – in the heavy industrial, buildings, offshore oil, and telecommunications industries. In the heavy industrial sector, Rick was involved in several mining projects such as Voisey’s Bay and Labrador City. In the buildings sector, he has worked on designs for residential, commercial, and industrial structures. In the offshore oil sector, Rick played a key role in the topside structural engineering team – as Deputy Lead Structural Engineer on the Terra Nova and White Rose Offshore Oil Project’s Floating Production and Offloading System (FPSO). In the telecommunications sector, Rick has completed over 1,000 telecom projects across Eastern Canada and the United States, including managing cellular builds for over 500 sites. Public and private sector design involvement included the Janeway Hospital and Marble Mountain Ski Lodge, in Newfoundland, Canada. Rick has extensive knowledge and expertise in the heavy civil, buildings, telecommunications and energy industries. In addition, Rick has completed specialized studies at Memorial University of Newfoundland, Technical University of Nova Scotia and Canadian Institute of Steel Construction. He is a member of PEGNL, APENS, APEGNB, PEO and a Registered Professional Engineer in the State of Maine, USA. Rick is a Fellow of CSCE, and a Fellow of the Engineers Canada. 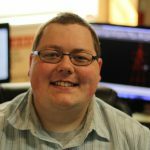 Jonathan has over ten years experience in the analysis, design and inspection of tower facilities in the electrical transmission and telecommunications industries. He has worked with Newfoundland Hydro and in the consulting field for nine years. As Manager of Tiller’s Telecoms division, Jonathan oversees, schedules and coordinates all project and engineering staff – both in drafting and engineering in addition to optimizing quality and overall costs. Jonathan is responsible for client relations, proposals, and design reviews. He has analyzed a wide variety of communication towers for clients in Canada and has performed many tower inspections to the CSA S37-01 standard. Jonathan is also certified as a Comtrain trainer to teach Tower Climbing Safety and Rescue. Michael is the newest addition to the TEI team. A recent engineering graduate from Dalhousie University and a registered E.I.T. with PEGNL; Michael brings an ambitious, eager to learn philosophy to the office. With an academic back ground in structural design and previous experience working in the industry, he makes a strong inclusion to our team. 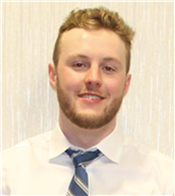 Cordell is a graduate of Memorial University of Newfoundland’s (MUN) Mechanical Engineering program, Class of 2017. Through MUN’s co-op program, he obtained experience in project management/execution roles on industrial projects in different parts of Canada. Since graduation, Cordell has spent 6 months working as a Maintenance Supervisor for Otis Elevator in Toronto, ON and is currently on contract with Nalcor Energy as a Project Engineer on the Lower Churchill Project. Stewart has 25 years of experience in the inspection, drafting and design of numerous buildings and facilities across the province. 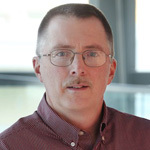 Stewart is one of the most experienced designers and inspectors of building systems practicing in Atlantic Canada. He has designed numerous challenging buildings projects and has been part of detailed condition assessment inspections on a regular basis. Jordan is a Civil Engineering Technologist who graduated from the College of the North Atlantic Corner Brook Campus. 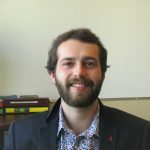 In 2013, shortly after graduation, Jordan joined TEI focusing on structural design, inspection and drafting of telecommunications, buildings and offshore oil and gas. Jordan is currently an associate member with AETTNL and has recently achieved his Professional Technologist (P.Tech) designation. Jodie brings over a decade of experience to TEI. 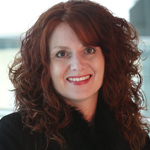 Her ability to manage people and accounting with various organizations in NL and beyond make her TEI’s choice for Business Manager. She manages the day to day operations of the company and enables the company and its employees to reach their full potential.